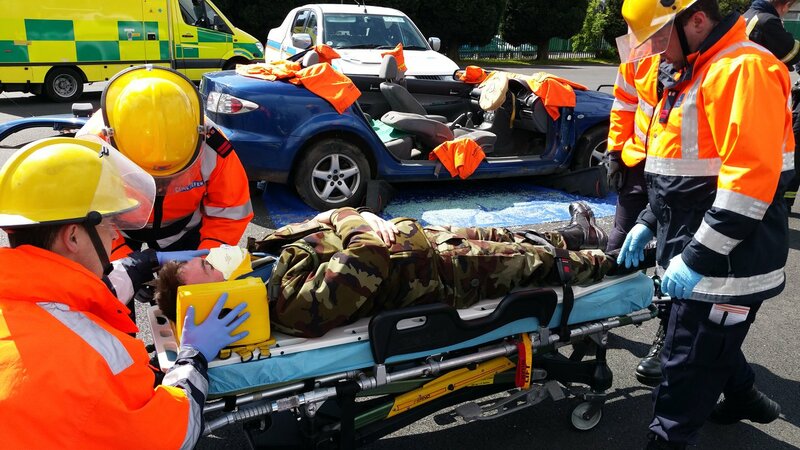 Louth Civil Defence took part in a mock road traffic collision with the Defence Forces and Louth Fire & Rescue. 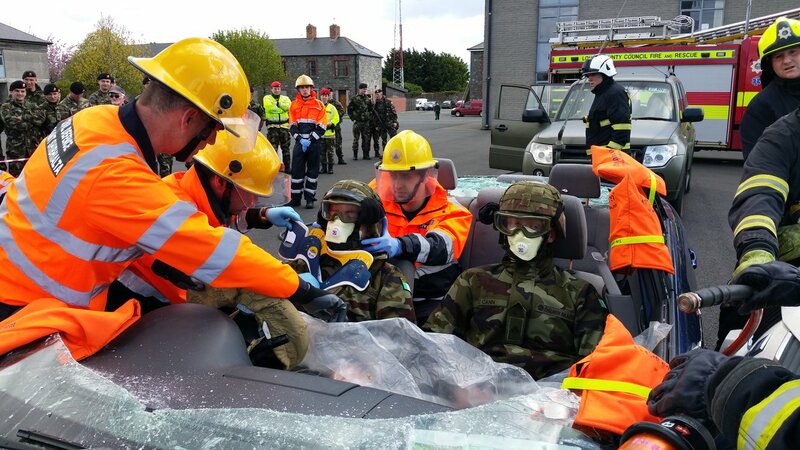 This exercise was closely watched by students from SRC Banbridge. 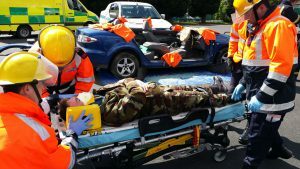 The scenario was a military cash in transit convoy involved in a t-bone style collision.